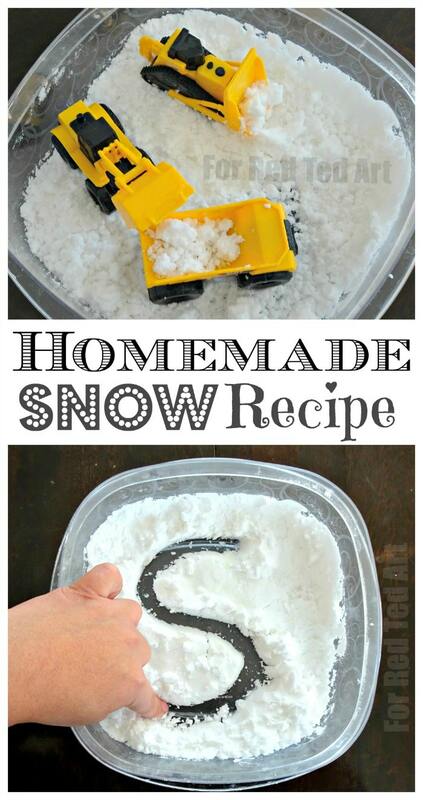 My kids have been DYING To have a go at how to make homemade snow!! I didn’t realise QUITE how easy it is to use this DIY Snow Recipe. 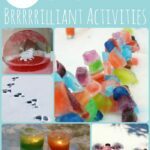 Homemade snow is GREAT as a winter sensory bin activities.. and you only need TWO ingredients to make this fake indoor snow. It is super soft to play with. The kids will absolutely LOVE LOVE LOVE this. This snow recipe is often referred to as CLEAN MUD too and it smells so good! Oh you just have to make this and dive right in! 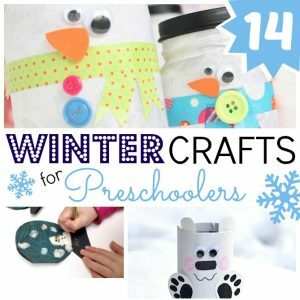 It is a wonderful Winter Craft for Preschoolers and Toddlers! 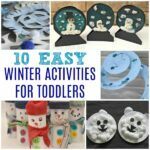 This Winter Toddler Play Post and DIY Snow Recipe is a collaboration with the wonderful Purple Alphabet – a fantastic early learning resource on YouTube that you simply have to check out! 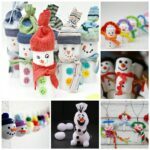 This fake snow DIY is a GREAT activity for those cold winter days – when it is actually TOO cold to go out side for long and yet the kids are desperate to play with snow. 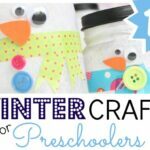 This homemade snow recipe is wonderfully tactile, super soft and above all NOT COLD!! 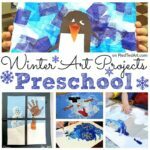 The perfect snow day activity for preschoolers and toddlers. Create a Winter Wonderland – a bit like this Winter Small World Tray we created. Or why not add some arctic animals? 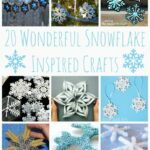 A wonderful to explore and play with this wonderful DIY Snow. 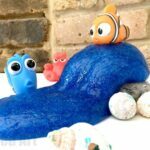 (We ADORE the arctic and penguin TOOB sets you can get – such beautiful quality hand painted toys – check them out here US/ UK (affiliate links). 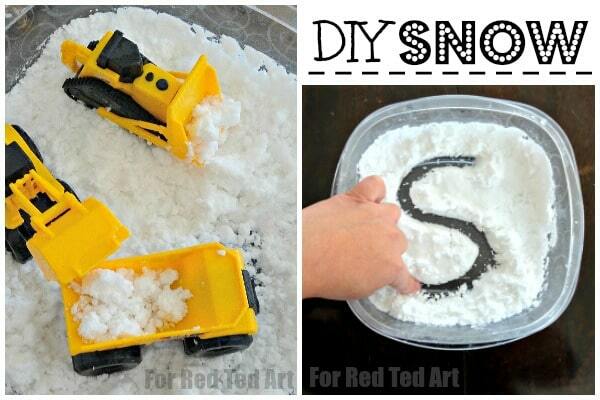 You can also use this fake snow as a sensory writing tray – S is for…. SNOW!!! Letter search – add some alphabet letters (we have a set of fabulous Alphabet fridge magnets) and have a game of find the letter and spell a high frequency word. (Get fridge Magnets here US/ UK (affiliate links). 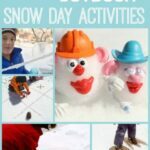 …as mentioned this is a fantastic quick and easy DIY Snow Recipe shared with you from the Purple Alphabet – if you like the video, do hop over to YouTube and subscribe to her channel. I know she would be chuffed to bits!! And now for the moment you have been waiting for…. the only TWO INGREDIENTS you will need for this DIY FAKE SNOW RECIPE!!! Isn’t that simply fabulous and indeed oh so easy? Once you have made this recipe once, I know you will want to use it over and over again. Just one word of warning: this is for the kids, right? Not for YOU!!!! Because you will SO want to play with this as well!! !